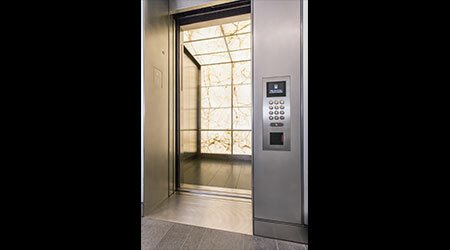 Diamond HS premium passenger elevators for high-rise buildings are designed to offer premium service while addressing passenger safety and comfort. Some of the features of the Diamond HS line include a high level of efficiency and power factor, quiet brakes as a result of noise-reduction technology, and sfleX-rope technology for super high-rise rope mechanics to reduce rope stretching. An optional active roller guide reduces vibrations and provides even more comfort for passengers. Diamond HS elevators are equipped with Sigma AI-2200C or Sigma AI-22 group control systems (ΣAI-22 and ΣAI-2200C). These systems utilize artificial intelligence to optimally apportion passengers to cars according to factors such as waiting time, travel time, current car occupancy, energy consumption and building size. 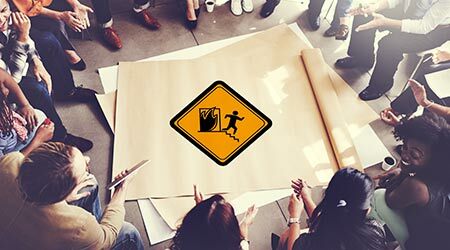 Diamond HS elevators are also available with an optional destination-oriented allocation system (DOAS) that can reduce average waiting times by up to 30 percent compared to conventional control systems. Passengers use hall-operating panels to select their destination floor before boarding the elevator, allowing the supervisory controller’s algorithm to determine the best car to serve that floor. Dispersing passengers by destination eliminates the need for passengers to press a button within the car, reduces the number of potential stops that a car will make, minimizes wait and travel times for all users and reduces energy consumption. Diamond HS elevators use a permanent magnet gearless traction machine, which produces an intense magnetic field due to high-density, high-precision winding of the joint-lapped cores built into the machine’s motor, reducing energy usage and carbon dioxide emissions. Diamond HS are equipped with intelligent door systems to promote safety and reliable door operation. As sensors detect conditions including variations in door loads between floors, wind strength within elevator shafts and sediment in the door tracks, the data is analyzed by a Reduced Instruction Set Computer (RISC) so that the elevator can adjust the speed at which doors open and close and modify torque to reduce the likelihood of a door-related failure. Precise control of AC motor speed and torque is provided by variable-voltage, variable-frequency (VVVF) inverters that enable Diamond HS elevators to vary voltage and AC motor input frequency as required. Additionally, Mitsubishi Electric offers a door operator design where the door operator mechanism is structurally isolated from the elevator cab, minimizing noise and vibration transmission into the cab, and further stabilizing door operation. The brake system incorporated into the Diamond HS elevators’ traction machines employs a double-brake configuration to stop elevators securely. An additional high-resolution motor encoder maintains landing precision and affirms that passengers feel safe stepping across the threshold to board and disembark and feel comfortable during their ride. If the sensors detect a passenger or object over the track, the doors will immediately stop closing and then fully reopen.